Download ASUS Flash Tool 1.0.0.24 Free from our Blog. 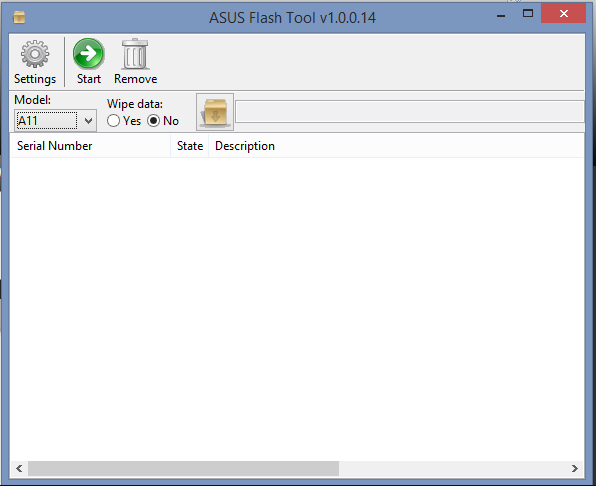 ASUS Flash Tool is a free program that allows you to Flash Asus Android phones such as Zenfone and Padfone. The program automatically detects device connected to your computer, it displays the serial number, select the path to the firmware RAW file and easily update your device.